In a recent statement made by Milestone Hospitality Management, guests who stayed at the Holiday Inn of Harrisburg/Hershey may have had their credit card information compromised. Milestone has stated that malware infected the Holiday Inn of Harrisburg/Hershey’s property management computer system and guest’s personal information may have been compromised. 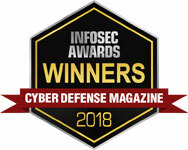 Milestone learned of the incident on July 22, 2015, and have determined that malware infected the computer system from June 2 to July 10. Information compromised contains names, addresses, credit card account numbers, expiration dates and CVV numbers of hotel guests. Although the number of guests affected is currently undisclosed, those individuals affected are being notified and offered a free year of credit monitoring and identity restoration services. The PCI DSS Compliance Standards requires an organization to implement solutions like for system hardening and PCI File Integrity Monitoring, but too few retailers operate these requirements sufficiently well. According to a Verizon 2014 Data Breach Investigations Report, industries most frequently affected by POS intrusions often include Hotels, Restaurants & Grocery Stores. It’s critically important that companies within the hospitality industry take the initiative to implement security solutions like File Integrity Monitoring and Change & Configuration Management within their IT environments to help protect their customer’s credentials & information from a possible breach.